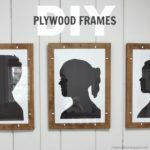 *This post is sponsored by Ryobi Tools and includes affiliate links. 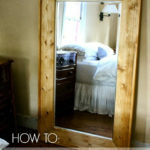 Looking for a spot to display photos? All those cute, casual photo snaps are definitely more fun when everyone can see them on display instead of stuck inside your camera. 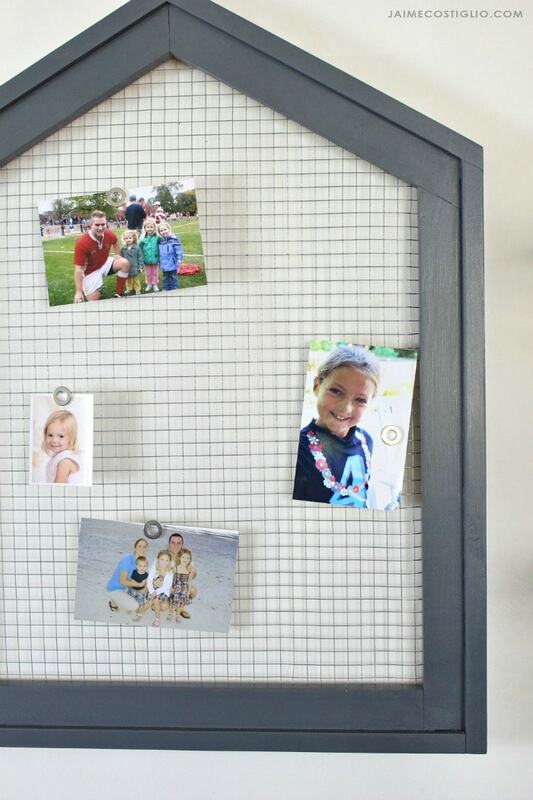 I’m sharing this diy photo display frame that resembles a house shape complete with magnets to hold your photos in place on a hardware cloth backing. I love the mix of the industrial looking metal hardware cloth with the wood frame. 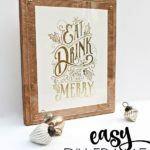 It’s the perfect backdrop for photos and they are easy to arrange using magnets on the hardware cloth. 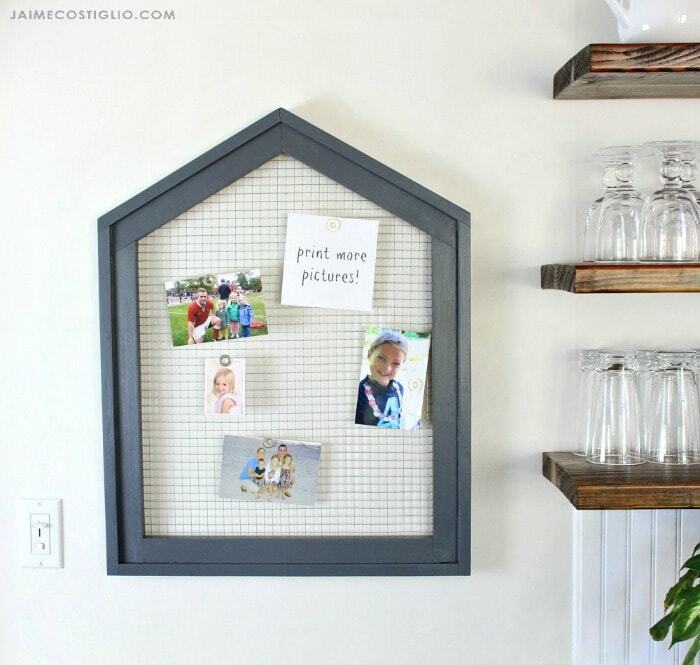 Just wait until all those holiday cards start rolling in, this will be a great spot to display all the cards from friends and family. 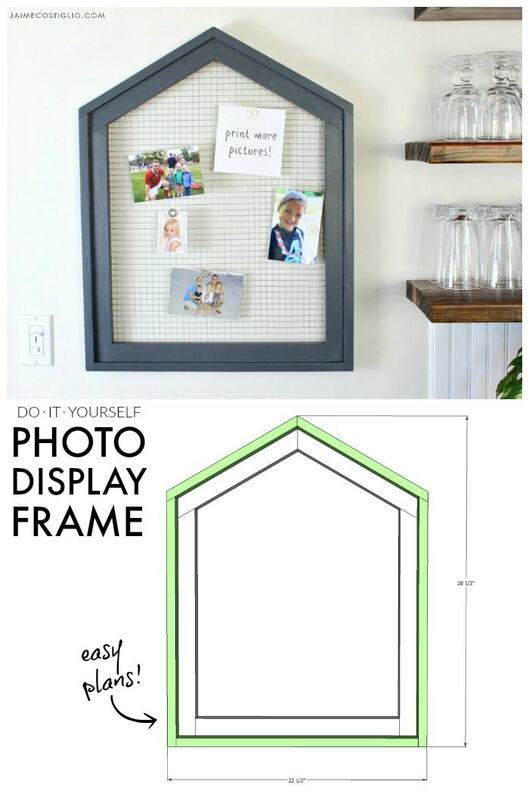 Click on over to Ryobi Nation here for the free plans to make this photo display frame. 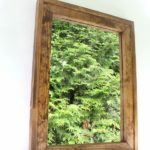 While you’re there be sure to browse through their entire catalog of project plans for lots of building ideas that might be perfect for your space. 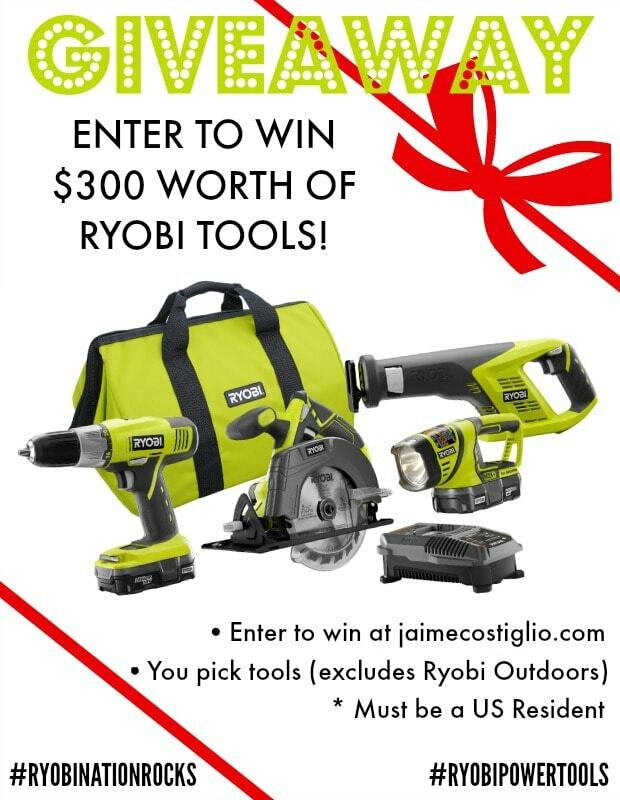 As a bonus for my readers Ryobi has offered to giveaway $300 worth of power tools to one lucky reader! Scroll down to enter the giveaway. Disclaimer: I have partnered with Ryobi Tools to bring you this post. I have been compensated and / or received product in exchange for my idea and project however all thoughts and opinions are my own. Mike it’s near the bottom of the post. What a fun Christmas surprise!! My husband and I had a complete BLAST choosing out tools. What a blessing! Thank you Janel for stopping by and entering the giveaway. Always makes my day when the winner truly appreciates the tools. Can’t wait to see what you build!